What makes community engagement successful? Recipients of the League’s Ford Musician Awards for Excellence in Community Service and others share the elements of their practice that contribute to individual transformation and lasting community impact. They’ll discuss their work in health care, educational, and other community settings and they’ll relay the musical, strategic, and organizational skills required for high-impact results. Made possible by generous grant from the Ford Motor Company Fund. Creating an environment in which equity, diversity, and inclusion (EDI) efforts will be effective, authentic and sustainable is a necessary but often overlooked element of EDI work that requires dedicated thought and resources. During this session, a panel of orchestra leaders will discuss an aspect of their organizational culture (such as learning and development around racial equity work, building a collaborative cross-functional internal working environment, etc.) that they focused on in order to prepare for implementation of long-term EDI strategies. Attendees will walk away with a deeper understanding of the complexity of—and best practices in—this process. Marketing must fill the house. Development must fill the coffers. And both must do this while sharing a limited database to achieve their goals. We will outline a cooperative, complementary approach to revenue-generation that not only engenders harmony between the two departments, but generates higher revenues, higher patron-satisfaction, and results in—at all levels—a more cohesive organization. Specifically, we’ll addresses coordinating timing, list sharing, staffing models that promote coordinated goals, messaging to reinforce organizational priorities, and proper use of technology. Participants will learn to orchestrate an environment that promotes productive outcomes for marketing and development that are patron-focused and goal-focused. Orchestras are increasingly framing their concerts and programs to address timely global issues and international communities, whether by more dynamically connecting international tours to those they serve at home, or by addressing displaced populations in their own communities. This session features a discussion of the ways in which orchestras can be agents of change through international artistry —and why it is important and worthwhile to do so. How do orchestras build pathways to sustainability through experimentation and risk-taking? With the support of the Ann and Gordon Getty Foundation, the League created the American Orchestras’ Futures Fund, a competitive grants program designed to cultivate a culture of learning and innovation in orchestras of all sizes, composition, and locations. This panel will explore the work of Futures Fund recipients through a discussion of the experiments and risks necessary to realize their innovative initiatives, and of the learning taking place along the way. In 2015, the Nashville Symphony commissioned award-winning composer Jonathan Leshnoff to write for the Violins of Hope, a collection of instruments played by Jewish musicians during the Holocaust. Now, this powerful recording has been released on Naxos. Stop by the Naxos booth in the Exhibit Area to meet the composer, get your CD signed, and see a violin from the Violins of Hope collection! Get to know your fellow attendees at this coffee break in the Exhibit Area. Join us for an introduction to four emerging composers whose unique compositional voices--increasingly informed by political, social, and cultural forces--are making an impact in concert halls across the country. Learn about their orchestral output; how they view their music, as creators, in an art form responding to change; and the ever-increasing role composers play in nurturing the fabric of their communities as teachers, community educators, concert curators and producers, entrepreneurs, musicians, and conductors. Join us for an insightful discussion on the importance of organizational change in the era of #MeToo—and how to take action. Framing the session from the standpoint of institutional culture, Lisa Brown Alexander will help participants gain an understanding of their role in creating a culture of respect as they acquire a practical knowledge of tools, tips, training, vocabulary, and procedures. Digital experts from the New World Symphony will provide an introduction to recording and presenting orchestras using immersive and interactive media, including live streaming, virtual reality, augmented reality, and more. They’ll cover the benefits and pitfalls of adopting new tech, as well as tips on how to get started. Attendees will gain an understanding of the potential applications and broader uses of these tools within their own organizations. For six years, Capacity Interactive (CI) has surveyed arts organizations to understand how they’re using digital marketing tools and how their digital marketing strategies are evolving…or not evolving. This session will highlight the key findings of CI’s latest Digital Marketing Benchmark Study, a survey of close to 200 organizations, and provide participants with, not only persuasive data, but also with case studies and knowledge of the best practices of digital marketers in the arts and cultural space. At the League’s Annual Luncheon, President and CEO Jesse Rosen and League Board Chair Douglas M. Hagerman will share updates on the League’s work The League will also present the Ford Musician Awards to the 2019 awardees. Alex Laing will follow with a keynote address. Through words and music, Laing, a fresh voice and accomplished instrumentalist, will examine the very nature of our art form and the dialogue between musicians and audiences. Laing sees opportunities for orchestras to develop if they tap into more of the creative abilities and ambitions of their musicians, and he imagines a wider range for how orchestras define themselves and their work. Sharing notes from the field and foregrounding his own artistic experience as a black, so called 'classical' musician, he will unpack some of the fundamental stories we tell about of our art form, how those stories impact our structures and what we conceive of as 'the work'. The League Annual Meeting and Luncheon is sponsored by PatronManager. Lack of diversity is often treated as a recruiting issue, yet the challenge runs deeper than the myth of the inadequate “talent pipeline.” At its core lies organizational cultures rooted in systemic racism. With the lack of equity, diversity, and inclusion in our workforce while demographics shift towards increasing racial diversity, orchestras must confront the true nature of this challenge, face the implicit bias in institutions, and commit to adopting policies and practices that create a culture of inclusion and equity. What does equity mean, and how might it look in practice in relation to the organization’s mission, culture, and programs? We will engage and support leaders in a bold conversation on the cases, tactics, and tools that will drive action on building a Race Equity Culture. Research from the organization Equity in the Center will be shared in an interactive forum that promotes peer learning and empowers participants to move from intention to action as they address the adaptive challenge of shifting organizational culture toward inclusion and equity. To conclude, participants will define actionable next steps for progress. One of the most exciting new developments in recent years has been the emergence of independently branded program offerings such as Sensorium (San Francisco Ballet), Pulse (New World Symphony), SoundBox (San Francisco Symphony), Liquid Music (St. Paul Chamber Orchestra), Sleepless (The Music Center), and many more. A marriage of sophisticated branding and innovative programming, branded series and formats are renewable assets that can be exploited artistically and financially over time. Increasingly, younger and more diverse audiences opt into branded experiences without knowing program details, sidestepping many of the familiar barriers to attendance. We will take stock of current efforts to attract new audience segments through branded formats and series that promise—and deliver—a distinctly different experience. And participants will gain an understanding of the powerful link between branding, programming, and engagement while learning considerations for planning and investing in this type of programming. This session examines the multitude of emerging models for volunteer engagement and organizations. With a group of panelists from a wide range of positions within the orchestral ecosystem, a facilitated discussion will highlight the various pathways for growing strong bonds with volunteer groups and collaborating to achieve organizational goals in community engagement and fundraising. Four musicians of color, each leading and giving shape to the national conversation on race and ethnicity in orchestras, reflect on their audition experience, with and without screens, and on their paths navigating orchestras’ predominantly white, Western European culture. Our understanding of the term “artistic excellence” is in flux, redefined by orchestras across the U.S. who are forging new forms of artistic engagement and collaboration with the diverse communities they serve. Yet this work often challenges the traditions, organizational practices, and cultural norms that, for many, define the work of orchestras. In this session, two key leaders from our field (Jesse Rosen, president and CEO of the League of American Orchestras and Ed Yim, president of American Composers Orchestra) will face a panel of orchestra colleagues to debate some of the apparent tensions and opportunities underpinning this work. Do inclusive practices inhibit or expand on our notions of artistic excellence? What assumptions do we hold, as a field, that might limit the extent to which equity, diversity, and inclusion can enrich the artistic life of our orchestras? And what does “artistic excellence” really mean, in today’s diverse—and divided—America? Join your friends and colleagues in the Exhibit Area for this annual reception. 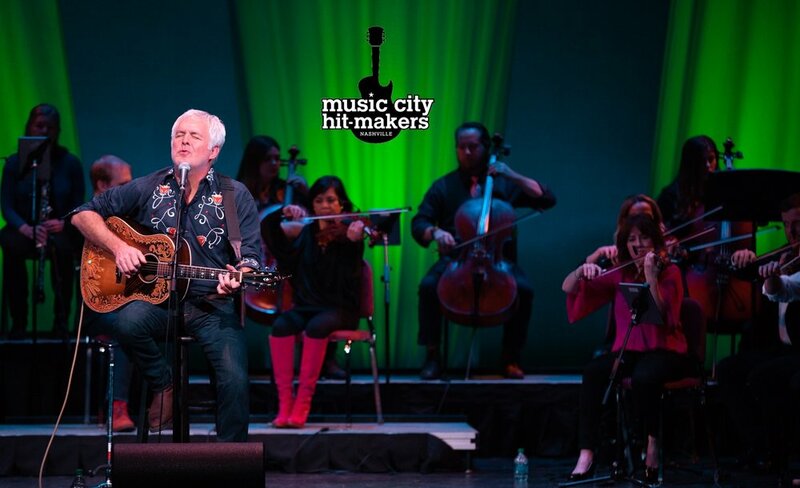 The All Delegate Reception is generously sponsored by Music City Hit-Makers —The Songs, Their Stories, A Symphony. 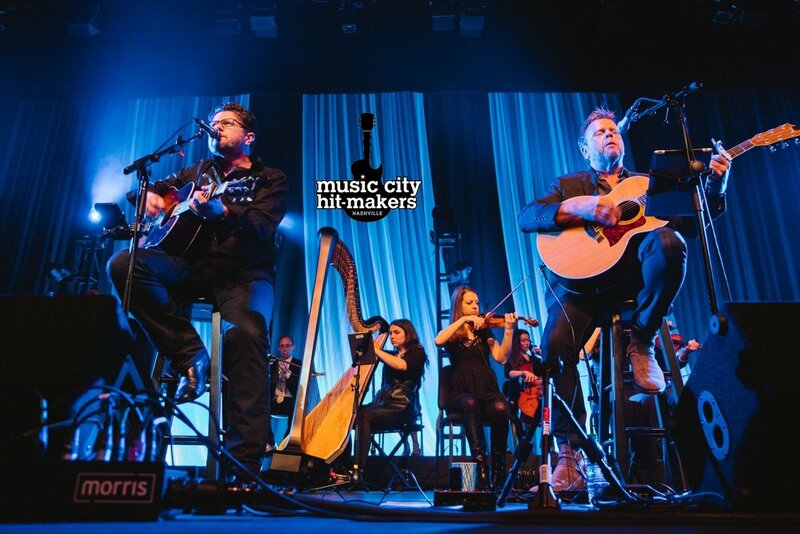 Artist Showcase: Music City Hit-Makers fuses two things uniquely American — the songwriter and symphony pops. Featuring Award-winning Nashville songwriters who have penned hits for Carrie Underwood, Kenny Chesney, Dixie Chicks, Rascal Flatts and many more; The Songs, Their Stories, A Symphony is part storytelling, part comedy, and mostly, unforgettable acoustic performances of sixteen #1 songs! Music City Hit-Makers invites you to attend a full show at City Winery Nashville at 8pm the evening of June 4th. If you’re interested in attending, please email Charles@MusicCityHitMakers.com. Now in its thirteenth year of operation, Laura Turner Concert Hall is the crown jewel of the Schermerhorn Symphony Center and the home of the Nashville Symphony. Over the last decade, this shoebox style hall has been used for many styles of acoustic and amplified music. Join acoustician Paul Scarbrough on a tour of the Hall’s acoustics and find out first-hand why the sound is amazing no matter who is performing in the venue! While this event is free, pre-registration is required. Composer Hannibal Lokumbe’s Crucifixion Resurrection: Nine Souls a-Traveling will be performed by Intersection Contemporary Music Ensemble, with Artistic Director Kelly Corcoran conducting, in a free concert at Downtown Presbyterian Church, 154 5th Avenue North. Scored for jazz ensemble, chorus, narrators, and vocal soloists, the work honors the nine victims of the mass shooting at Mother Emanuel African Methodist Episcopal Church in Charleston, SC. This performance is sponsored by a generous gift from the CHG Charitable Trust, as recommended by Carole Haas Gravagno. Additional funding is provided by the Aaron Copland Fund for Music. Calling all young professionals…. Come join the Nashville Symphony’s young professionals crowd for an evening of networking on the rooftop of the beautiful City Tap House. Just blocks from the Omni, the City Tap House has a huge selection of taps, an extremely readable draft list, and regional (dare we say exceptional) cuisine! Bring your Conference badge and your business cards for an evening of mixing and mingling.